Of the twenty-two heifers all the others are in good health so are the two bulls. Only one had died earlier and one has not dropped a calf since 2001. The Heifers have dropped 33 live and healthy calves, two were 2 still borne and one died in infancy. The total head now stands at 56, a 150% increase in four years. The table below gives details of families that benefited from the original stock. The following families have benefited from the program of passing on the gift. The next generation of heifers is all in good health and we expect another one to drop calves before the end of the year. Although we began the process of passing on the gift, the new recipients did not take the training course. I propose that we re run the course on animal husbandry for the benefit of the four and other prospective future beneficiaries. We estimate that a four-day course should not cost more that US $500. It is better to run the course before the on set of the rains when our people are not busy with the farming project The table below shows the calves born in each household. Some of the male calves should start work this year while the heifers continue to produce milk. At the risk of sounding complacent, which we are not, we ask, if this is not a successful project then we need to know what is. 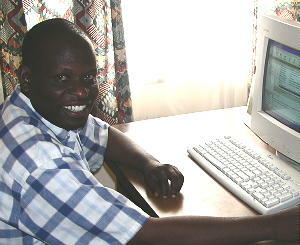 Please re assure LifeNets Australia through Mr. Trevor Huthnance that these funds are still available. They have not grown legs and fled! The average maize yield achieved by recipients of LifeNets in Mumbwa is 750Kgs per Hectare. Although this is about the average yield achieved by farmers in this area, it falls far short of that achieved by Zambian commercial farmers which is about 5 - 6 Tons per Hectare. In a season when rainfall is erratic and poor, yields literally drop to zero. Under such circumstances households rely on government food aid, which can be as erratic as the rains. We have received assistance from LifeNets. 2) Producer prices collapse during the maize marketing season meaning that our farmers sell their maize for next to nothing. The prices generally pick up from November. The local management team of LifeNets Zambia Chapter is always looking for ways and means to improve the quality of life. It is this desire that led us to investigate the cause of the difference in productivity between commercial farmers and our people. We dealt with problem 1-4 by hiring an expert from the ministry of agriculture to conduct an education and training seminar. We undertook three trips to inspect and ensure the participants adhered to preset the cultural practices, which they were taught during training. Except for two families the rest followed through with the instructions. 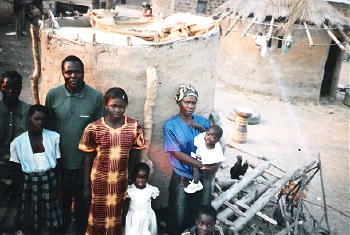 LifeNets funded 10 families to the tune of US$ 2000. The past agriculture season was a disaster to say the least. 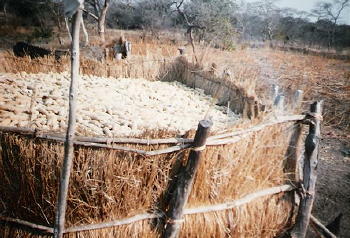 In most parts of Southern Africa, the maize crop completely failed. In Mumbwa the story is no different. Most families have acute food shortage. In spite of the gloomy picture painted above, results from the project speak themselves. The ten families we support produced 32.600 tons valued at approximately US$ 6,000 instead of the normal 7.500 Tons valued at approximately US$ 1500. This production gives a return of 200% on the money invested by LifeNets. Increased yield demonstrates the power of knowledge, finance and industry. The project is selling it self and many are clamoring to join. We do not want to add new people to the project but with your permission we prefer to re invest in the three families that did not do well. The price of maize has risen very sharply. 800 Kgs of maize is enough to repay the loan to the Revolving Fund. All but three families have repaid. LifeNets will sale the crop on the open market and plough back the proceeds into the fund for the next season's operations. The second and equally important phase of this project was to pre finance the maize crop for protection from the effects of fluctuating prices during the glut period. 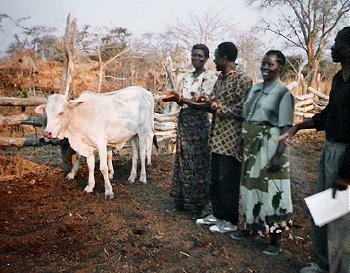 Participating families prepared budgets detailing their needs for the period May to December 2005. These totaled K2.180 Million (US$500) and LifeNets financed the advances. 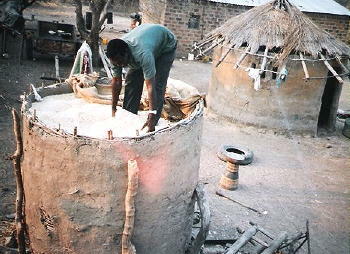 These advances are secured by maize deposited with LifeNets Zambia. We do not wish to expand this project. Our goal for next season is to ensure that this performance is repeated and consolidated. We require US$600 to re invest in three families that lost money last season (Previous year US$600 for three families). 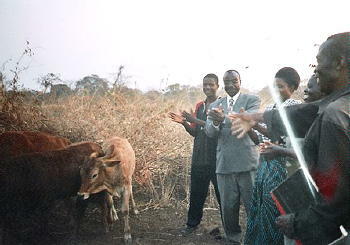 Project supervision for 3 trips during the growing season is estimated at US$ 500 (Previous year US$364). The increase is due to the shocking increase in the price of petrol in our country and the weak US$ dollar. Currently the 1 US$ buys K4, 300 compared to K4820 last year same time. Results show that a family that performed badly lost US$ 10, an average family made US$ 400 while the top family made US$ 1,000. US$ 1000 is really big money in this part of the world. The current earning from one hectare is US $73. Families that achieved an average production increased their earnings by US$ 337 that is 460%, while the top family increased their earnings by a staggering 1,260%. One hectare is a very small piece of land; we see no reason why every family cannot achieve at least 3.500 tons. This approach can really make huge inroads in poverty reduction in Africa.